Answer: TuPandas is the worlds best quality and cheapest automatic Social Media Panel, that can boost your Social Media Activity. Question: What does TuPandas offer ? Answer: As a SMM Panel we offer all types of Social Media Marketing Services such as Instagram Likes/Followers, Facebook Page Likes, Twitter Followers and many other services at a cheap rate. Those services can help you increase your engagement, its also a perfect way to give a "prestige" to new companies because no one wants to follow or like a new company/brand with a low amount of followers. 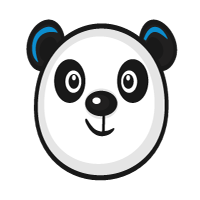 Question: Is TuPandas safe to use? Will it hurt my account? Question: What is Partially completed status? Answer: If status is Partially completed it means system can't give more likes/followers to current page and money automatically refunded for remains likes/followers. Please order in different server in that case .